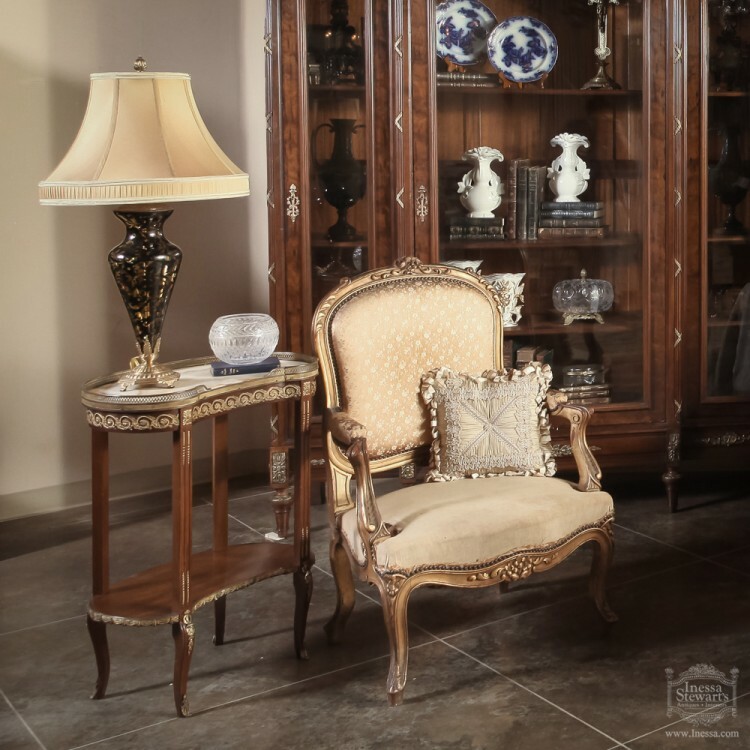 Since the early days of the French monarchy, antique furniture styles have followed the lead of the Royal French Court. From the moment the royal wedding in 1770 of the daughter of the Emperor of Austria, known to us as Marie Antoinette, and Louis-Auguste of France, who was to become King of France only four years later, her interest in ancient Greece and Rome, and the classic architecture and furniture those civilizations produced, started to exert its influence on the preferred styles of the court, eventually resulting in what today is known as the Louis XVI style. 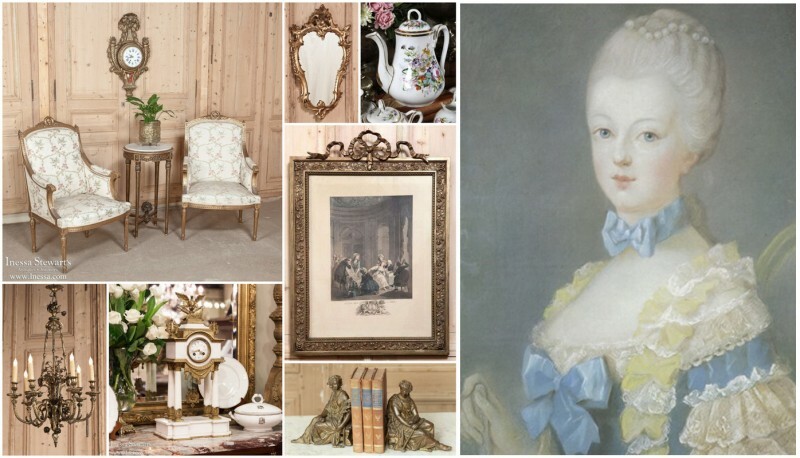 The Queen of France was also known for her exquisitely romantic bedroom furniture and appointments, the influence of which can be seen in Versailles today, and which is reflected in the Louis XVI style throughout the 19th century. 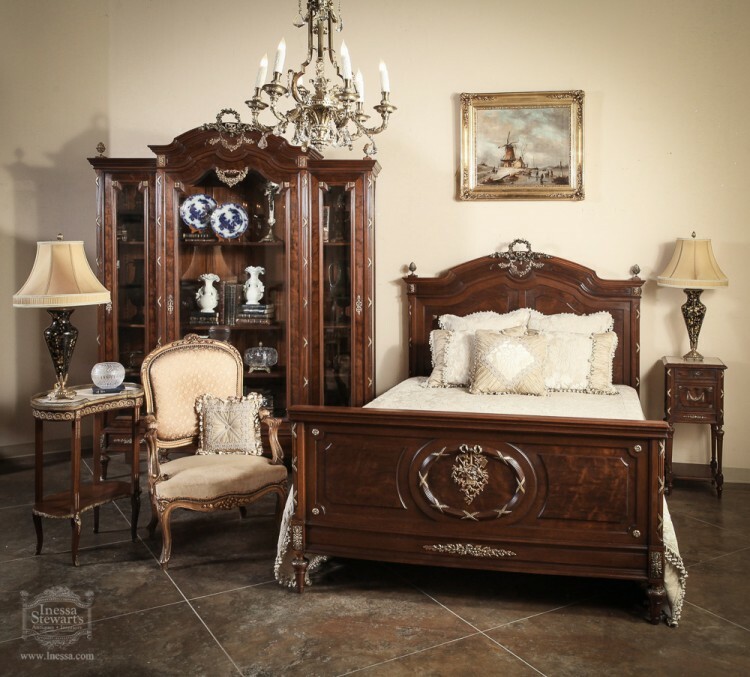 A splendid example of this romanticism and classic design is our choice this week of a truly special antique three-piece bedroom set. 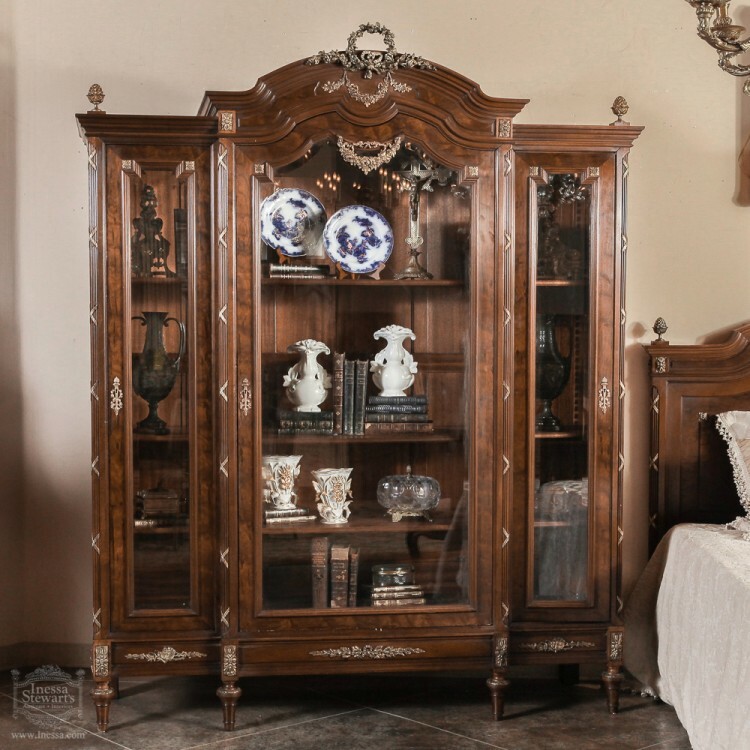 From its stately architecture with its tailored lines and fluted corner posts which so resemble the fluted columns of ancient Greece, to the elaborately cast and hand-chased bronze ormolu mounts, this three piece bedroom set exudes a timelessness that has maintained its appeal for over two millennia! 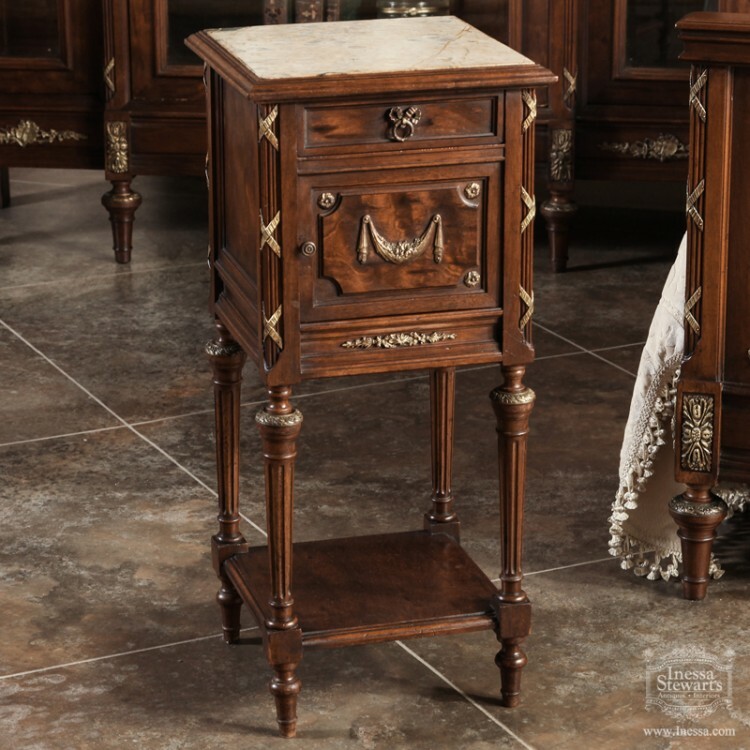 Upon closer examination, we discover that exotic mueche mahogany was used, a wood imported from North and South America’s tropical regions with a unique grain variation. 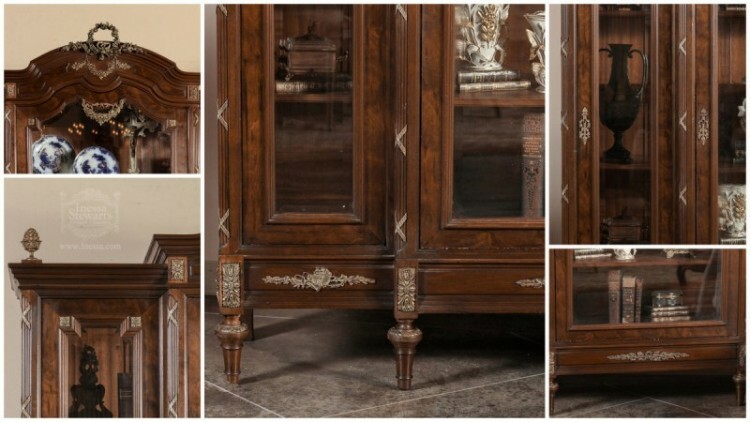 This highly prized wood provides the perfect backdrop for the jewelry-like quality of the bronze ormolu mounts, which depict rosettes, exquisite floral and foliate motifs, and even the ribbon that appears to band together the fluted corner posts which is a reference to the fascis carried into the Roman Senate to mark the beginning of a session. 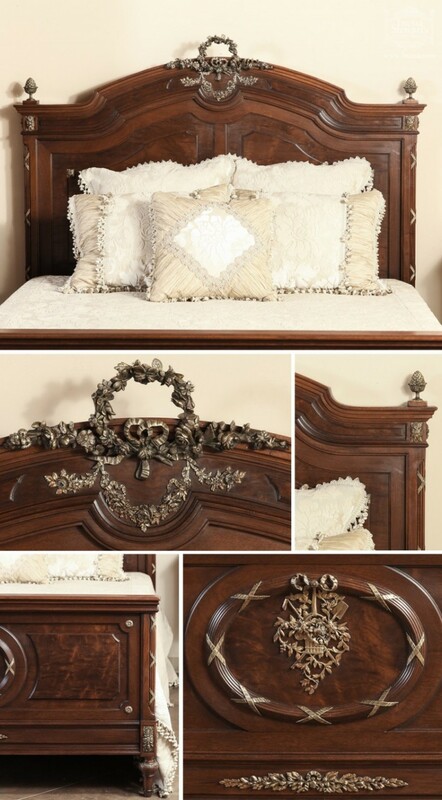 Hand-crafted by extraordinarily talented artisans in the 19th century, our own 21st century in-house artisans have transformed the bed to accommodate a Queen size mattress set by crafting rail extensions, leaving the headboard and footboard intact and original. 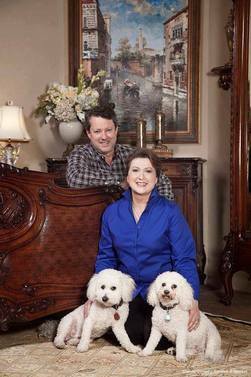 We are certain Queen Marie Antoinette would approve! Our Newest Amazing Bargain Brocante!